Kava has been used for centuries in the Pacific Islands as a beverage to relieve stress. Because of its ability to help people relax and unwind, it is commonly used as a mild sedative to treat a stress and anxiety. Used in moderation, it is a safe and effective alternative to prescription stress medications. It grows as an upright, sturdy evergreen bush with hefty, sturdy stems. Its leaves are fashioned in the shape of a heart and its petite flowers blossom like tiny spikes. The whole root of the Kava plant can be pulverized into a beverage and used for medicinal purposes. It can also be consumed as a tea, a liquid herbal extract, capsule, or dried and used in powdered form. In Polynesian cultures, the raw Kava root is chewed. It is commonly used to treat stress, anxiety, insomnia, nervousness, constipation and incontinence. Its highly sedative properties have also been known to numb body parts, which make it helpful as an anesthetic pain and spasm reliever. Its strong diuretic properties stimulate urination and increases perspiration. It is also useful for some people as a natural aphrodisiac. In moderation and when taken responsibly, Kava is generally safe to use without serious side effects. However, definite precautions should be used under certain circumstances. As with any herbs used in natural cures and home remedies, those who are under the care of a physician should always consult with their doctor before taking Kava. Also, it should not be given to children, and women who are pregnant or nursing should avoid its use. Those with a history of liver ailments are advised against taking Kava. Those with a history of alcoholism or drug addiction should not take Kava. Prolonged use of Kava can cause a yellowing of the skin, fingernails and hair follicles. 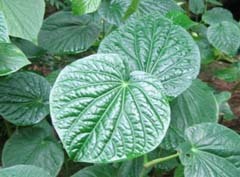 Though Kava is used to treat insomnia, those taking it at bedtime should be advised that it might increase urination. Because of its sedative uses, Kava should not be consumed with alcohol, nor should persons taking other sedatives or antidepressants use it. Excessive consumption should be avoided, as should operating heavy equipment or driving after drinking Kava. Kava should not be used for recreational purposes, but should only be used in the treatment of one of the ailments or disorders described above. When properly used, it is generally safe and effective, with side effects rarely reported. Used for centuries in Polynesian cultures, research in the United States agrees with the effectiveness of Kava for the treatment of stress related symptoms.